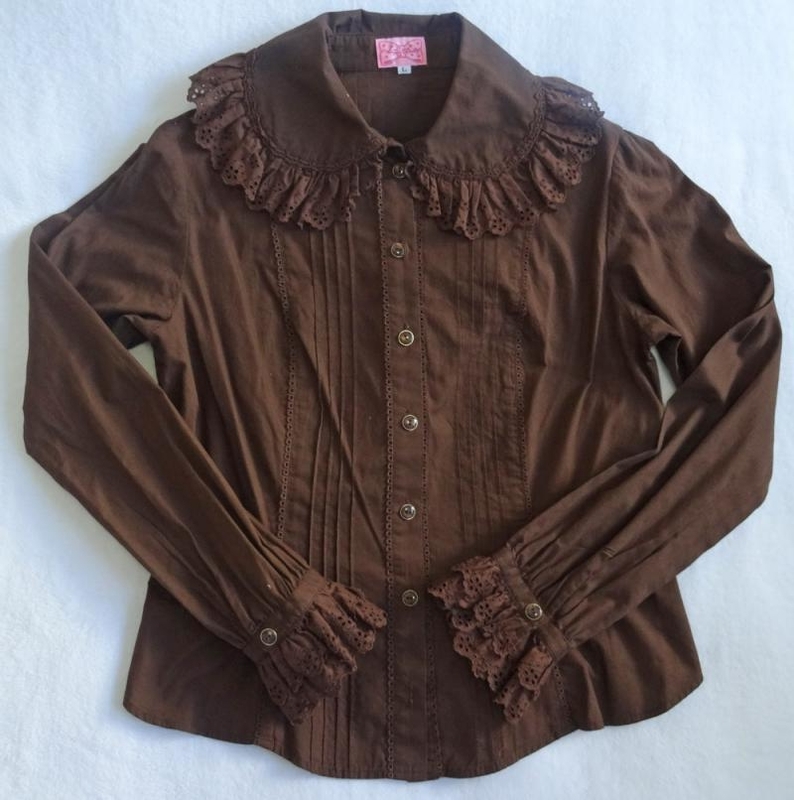 Hard to find L size Angelic Pretty chocolate blouse. Worn once and still in very good condition. 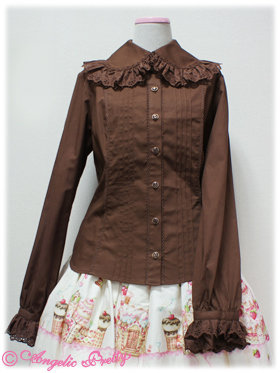 If you would like a closer look at the blouse, please click on the profile image to get a large display pop up. * Shipping quoted is for 500gr, so multiple items can be combined for the same shipping price.